Health Benefits: Anti-inflammatory properties for healthy hip and joints and can improve health conditions like allergy, autoimmune conditions, skin infections, heart diseases, eye disorders, epilepsy, etc. 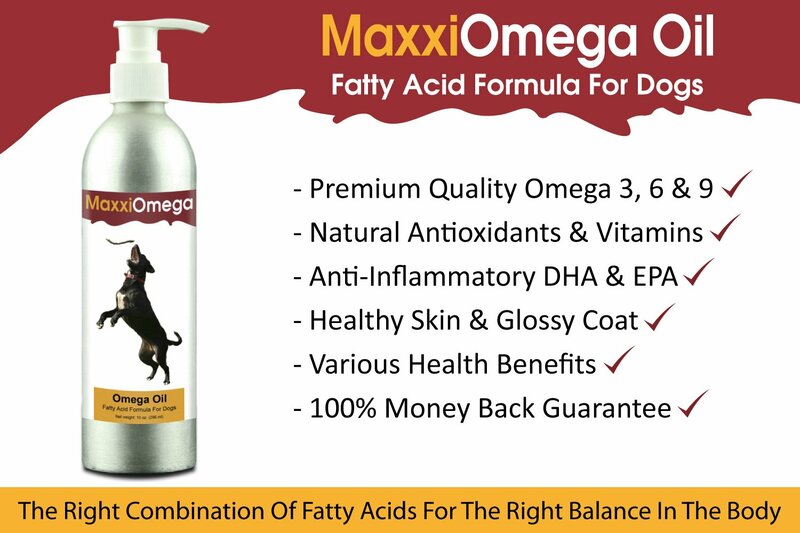 MaxxiOmega oil is a comprehensive fatty acid formula for dogs. 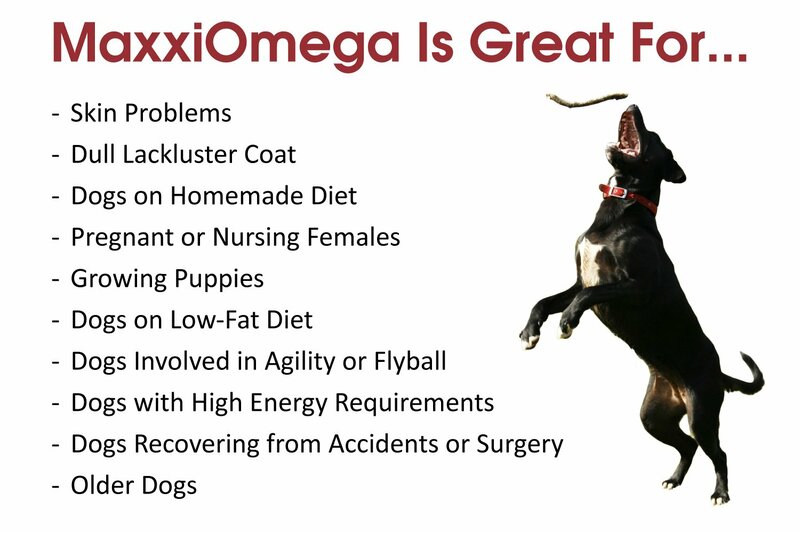 MaxxiOmega is formulated for results. We are so confident in MaxxiOmega that we offer you 100% Risk Free Guarantee. We fully refund if you are not happy with your product within the first 30 days after you order.